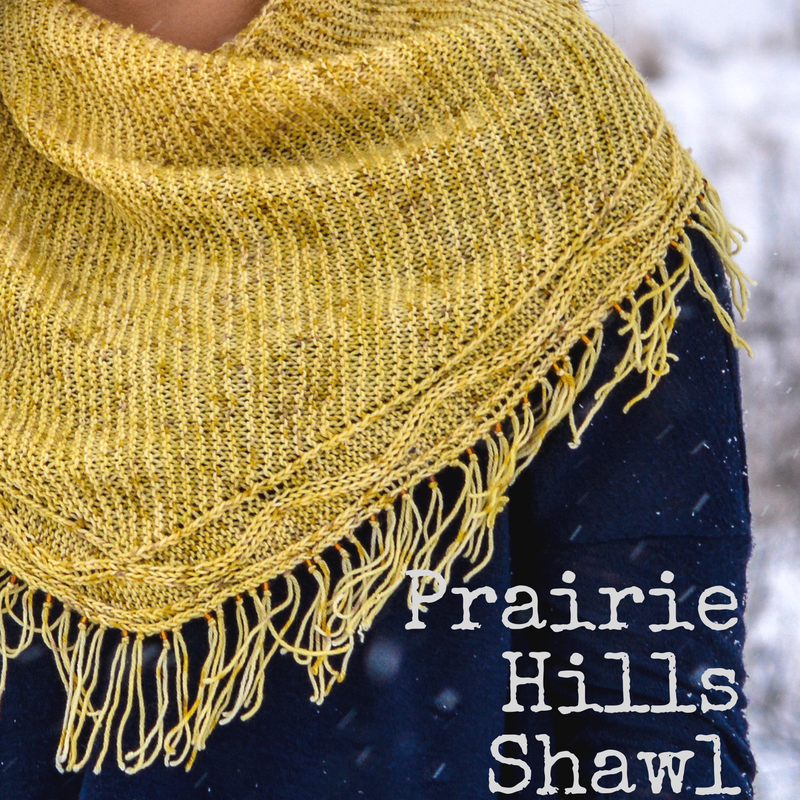 Like the prairies, this small shawl features simple details that add up to a beautiful whole. Garter stitch, stockinette, reverse stockinette, twisted stitch columns, a half-twisted stitch column…subtle stitches that sometimes need a second look, just like my home landscape. Perfect for using a treasured single skein, this is knit side-to-side with instructions for maximizing yarn use. The hills are created with simple increases and decreases, no cabling is involved. 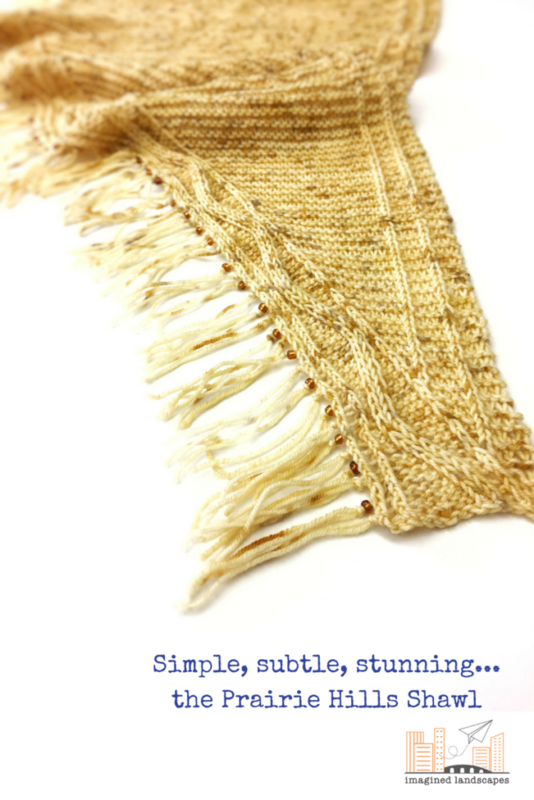 The fringe is made by knitting extra stitches as you go and then unravelling them – so easy! Sample shown has beads added to the fringe. Instructions are included for modifying the shawl to use any amount of yarn, and to give you options for a crescent shape, an asymmetrical triangle, and a longer, skinnier triangle. Look in the project pages for test knitters’ versions of these modifications!